TREC is built on a 7-acre site located along the bustling Jalan Tun Razak. 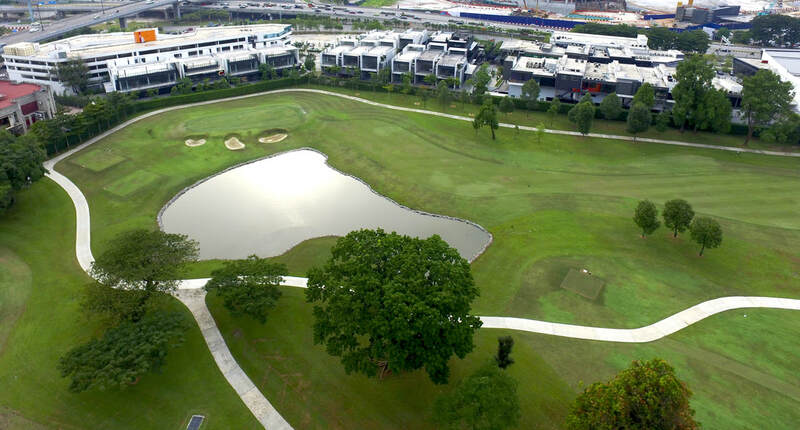 It features city and front-row views of the spectacular greens of the Royal Selangor Golf Club, and within the immediate vicinity of the upcoming TRX. With over 50 brands, the estate has five zones and each has a distinct character, offering an exciting variety of eateries, clubs, bars/pubs, cocktail bars, cafes and live music venues. Endorsed by the Ministry of Tourism and Culture Malaysia as a Designated Entertainment Zone under the NKEA EPP 8 programme, TREC is also part of KL's Master Tourism Plan 2015-2025. The estate is also the first entertainment and F&B enclave in KL to be granted a 5am license. TREC launched Phase 1 with superclub Zouk KL in August 2015 followed by Electric Boulevard block in Dec 2015, adding the second landmark to TREC with the iconic Mercedes-Benz City Store. In May 2016 – Phase 2 comprising Hive, Terraces and Alley blocks opened, with the arrival of Singapore brand Le Noir and Hong Kong's I Pong. Today, TREC presents an exciting collection of homegrown, regional and international brand including YG Republique (Korea). In 2018, it will see the opening of The Iron Fairies at Hive, followed by the rebirth of Alley block that will transform into a hip food street by several emerging F&B entrepreneurs, to the likes of Singapore's Haji Lane. Managed by a single landlord, TREC has a carefully curated tenancy mix, customer profile and security. Dato' Douglas Cheng is the Co-Founder and Chairman of TREC. He has interests in F&B (Dragon-i, Canton-i, La Scala), gaming (GPL Group) and sports facilities (Sports Planet), Dato' Douglas is a qualified advocate and solicitor of the High Court of Malaya and is a partner in Nesan, Cheng and Co, Advocates and Solicitors. Cher Ng is the Co-Founder and Managing Director of Zouk KL, which forms an integral part of TREC's development. He c0-founded Zouk KL at Jalan Ampang in 2004, which went on to establish the venue as Malaysia's most successful nightclub. Berjaya Assets Berhad is listed on the Main Board of Bursa Malaysia. It is the developer of Berjaya Times Square, one of Malaysia's largest retail and commercial projects - an international landmark for Kuala Lumpur. ​Berjaya Assets Berhad forms of part of the Berjaya Group, a diversified Malaysian conglomerate with interests in property development, resorts, F&B, motor vehicle distribution and education.